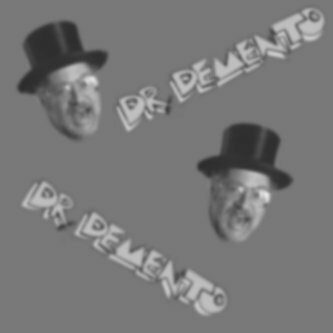 Welcome to the official online archive of The Dr. Demento Show! Here you can browse our archives, which range from last week all the back to 1970! A new episode is added each Saturday morning, and older items are added to the archives each Sunday evening. You may purchase any stream in mono, or the current episode in high quality stereo. Or, join the Demento Online Club for access to *all* episodes in high quality! To become a member, click here! Please be sure to read our Frequently Asked Questions (FAQ) regarding streaming before you purchase your first show. (Please note that you are not purchasing a download but a single performance which is streamed to your computer. Please be aware that some of the older shows although available in high quality format may have less then stellar sound quality due to the age and quality of the original recording. Also, while most shows are stereo for D.O.C. members, a few shows are only available in mono (as indicated). Our partner site the Demented Music Database has a search engine to help you locate the episode you want to hear. Or save money with our package deals for Christmas, Halloween, and Funny 25 shows! 5 new additions within last seven days.